Today, Talos is publishing a glimpse into the most prevalent threats we've observed between September 22 and September 29. As with previous round-ups, this post isn't meant to be an in-depth analysis. Instead, this post will summarize the threats we've observed by highlighting key behavior characteristics, indicators of compromise, and how our customers are automatically protected from these threats. Throughout this blog post we will be detailing a newly discovered RTF document family that is being leveraged by the FIN7 group (also known as the Carbanak gang) which is a financially-motivated group targeting the financial, hospitality, and medical industries. This document is used in phishing campaigns to execute a series of scripting languages containing multiple obfuscation mechanisms and advanced techniques to bypass traditional security mechanisms. The document contains messages enticing the user to click on an embedded object that executes scripts which are used to infect the system with an information stealing malware variant. This malware is then used to steal passwords from popular browsers and mail clients which are sent to remote nodes that are accessible to the attackers. These advanced mechanisms and the information stealing malware will be discussed in detail. We will also review a number of static and dynamic detection mechanisms used in the AMP for Endpoints and Threat Grid product lines to detect these document families. Struts - when to patch and when to patch with a vengeance. 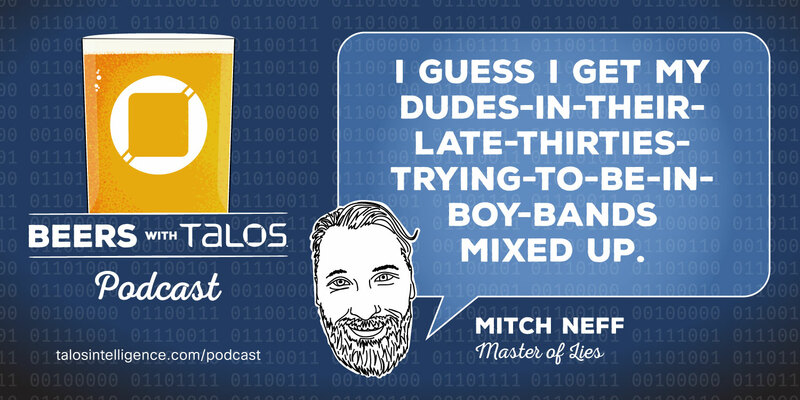 In light of the Equifax breach, we discuss how patching can make you live better days, Never look back and say, Could have been me. Naturally, that convo leads into the biggest story of the week around Pwning the Supply Chain - CCleaner, Python, and Nyetya style. Avast made some mistakes, but every tech company is susceptible to supply chain attacks. What can companies do to protect themselves and how can users adopt a stronger security posture in this area? We also talk Ex$ploit Economy - Valuing exploits by supply and demand. Zerodium has an extensive price list, what can we discern about the availability and difficulty of various exploits using basic economics? Today, Talos is publishing a glimpse into the most prevalent threats we've observed between September 08 and September 15. As with previous round-ups, this post isn't meant to be an in-depth analysis. Instead, this post will summarize the threats we've observed by highlighting key behavior characteristics, indicators of compromise, and how our customers are automatically protected from these threats. 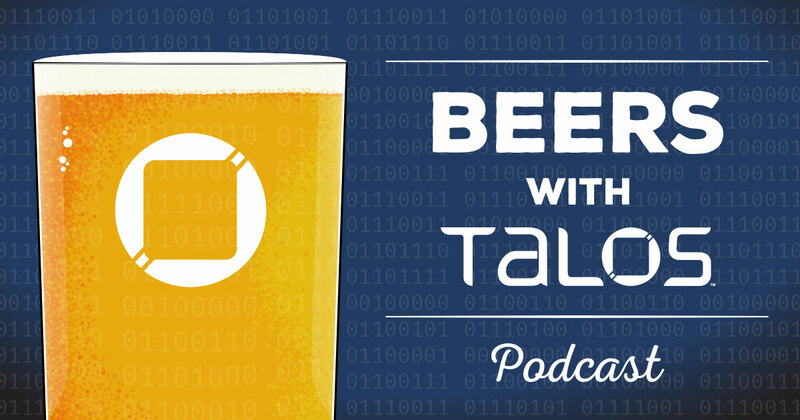 Beers with Talos EP12 - IrmaGerd! The Internet Ate Our Podcast! Matt runs the ship this week in Mitch’s absence. 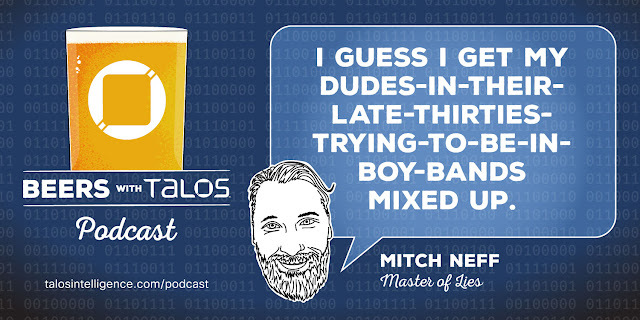 Craig and Nigel are joined by Bill Largent and Joel was… in a meeting? The crew discusses ambulance chasing and crying wolf in the security industry and also what the security press is doing to perpetuate questionable reporting. We also chat at length about what exactly goes into vulnerability discovery, chaining exploits, and the months of work to get to those “12 seconds” of glory at Pwn2Own. Talos discovers and responsibly discloses software vulnerabilities on a regular basis. Occasionally we publish a deep technical analysis of how the vulnerability was discovered or its potential impact. In a previous post Talos took a deep dive into Lexmark Perceptive Document Filters, in this post we are going to focus on another converter used by MarkLogic located in `Converters/cvtpdf` folder, which is responsible for converting pdf to XML-based formats - Argus PDF. This blog will cover the technical aspects including discovery and exploitation process via the Argus PDF converter. Update 9/20/2017: A patch is now available to fix this issue. LibOFX is an open source implementation of OFX (Open Financial Exchange) an open format used by financial institutions to share financial data with clients. As an implementation of a complex standard, this library is used by financial software such as GnuCash. Talos has discovered an exploitable buffer overflow in the implementation: a specially crafted OFX file can cause a write out of bounds resulting in code execution. This vulnerability is not currently patched and Talos has not received a response from the developers within the period specified by the Vendor Vulnerability Reporting and Disclosure Policy. Microsoft has released its monthly set of security advisories for vulnerabilities that have been identified and addressed in various products. This month's advisory release addresses 81 new vulnerabilities with 27 of them rated critical, 52 rated important, and 2 rated moderate. These vulnerabilities impact Edge, Hyper-V, Internet Explorer, Office, Remote Desktop Protocol, Sharepoint, Windows Graphic Display Interface, Windows Kernel Mode Drivers, and more. In addition, Microsoft is also releasing an update for Adobe Flash Player embedded in Edge and Internet Explorer. Note that the Bluetooth vulnerabilities known as "BlueBorne" that affected Windows have been patched in this latest release. For more information, please refer to CVE-2017-8628. Talos has discovered two remote code execution vulnerabilities in the the FreeXL library. FreeXL is an open source C library to extract valid data from within an Excel (.xls) spreadsheet. Exploiting these vulnerabilities can potentially allow an attacker to execute arbitrary code on the victim's machine. If an attacker builds a specially crafted XLS (Excel) file and the victim opens it with an application using the FreeXL library, the attackers code will be executed with the privileges of the local user. 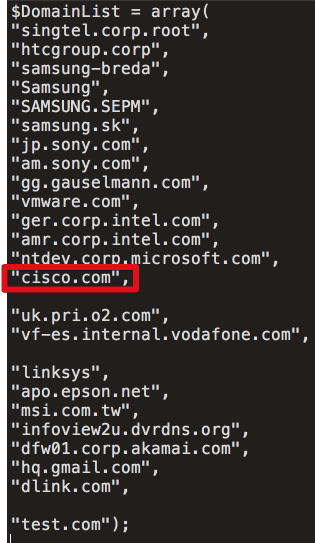 The vulnerabilities were discovered by Nicolai Grødum of Cisco. Today, Talos is releasing details of vulnerabilities discovered in Microsoft Edge browser as well as older versions of Google Chrome (CVE-2017-5033) and browsers based on the Webkit such as Apple Safari (CVE-2017-2419) . An attacker may be able to exploit the vulnerabilities and bypass the Content Security Policy set by the server which may lead to disclosure of confidential information. Microsoft stated that this is by design and has declined to patch this issue. Today, Talos is publishing a glimpse into the most prevalent threats we've observed between August 25 and September 1. As with previous round-ups, this post isn't meant to be an in-depth analysis. Instead, this post will summarize the threats we've observed by highlighting key behavior characteristics, indicators of compromise, and how our customers are automatically protected from these threats.